On 16 October, JSPS Bangkok Office organised a program briefing at National Science and Technology Development Agency (NSTDA) in Thailand Science Park under the great support of Prof. Hiroaki Morimura of Tokyo Institute of Technology (Tokyo Tech) which has its branch office in NSTDA . Before the program briefing seminar, JSPS Bangkok office exchanged views of international academic exchange with NSTDA executive vice president Dr. Chadamas Thuvasethakul and international cooperation division director Dr. Pattharaporn Suntharasaj and other researchers. 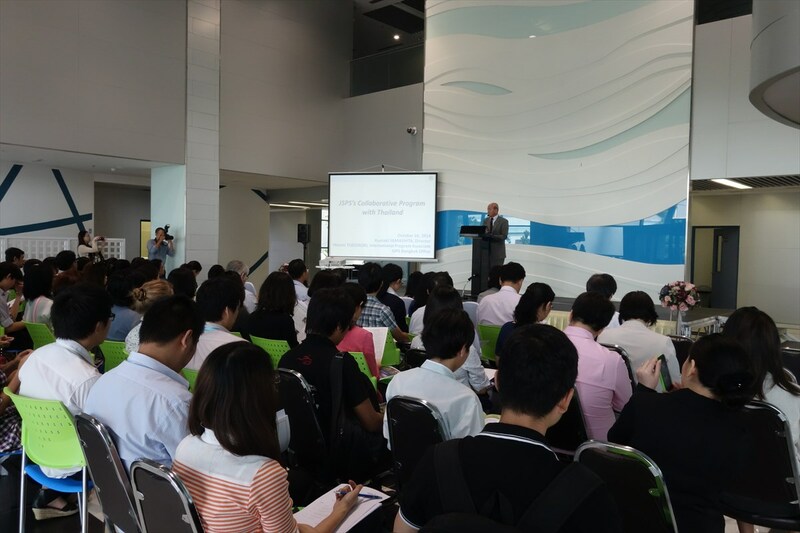 This being the first time for a JSPS program briefing to be held at NSTDA, it drew an audience of more than 80 researchers. Sice JSPS international programs had not been well known among NSTDA researchers, they were very interested in fellowship programs and research funds offered by JSPS. 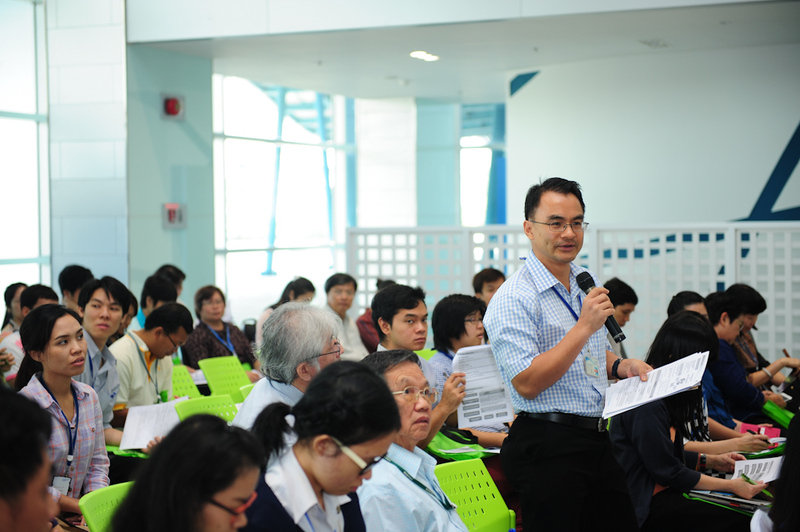 Participant asks about the program. 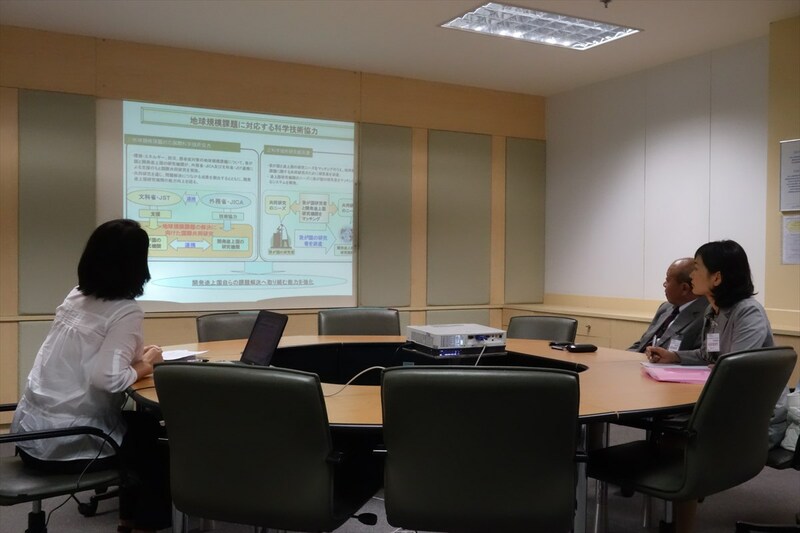 Following a program briefing at NSTDA, JSPS bangkok office visited four science and research offices related to Japan. Under the close collaboration with NSTDA and universities in Thailand, Tokyo Tech established an international joint graduate program (masters degree program), named as TAIST-Tokyo Tech inside Thailand Science Park. Tokyo Tech is sending academic teaching professionals and aims to foster young people who will contribute to the development of manufacturing technology in Asia. 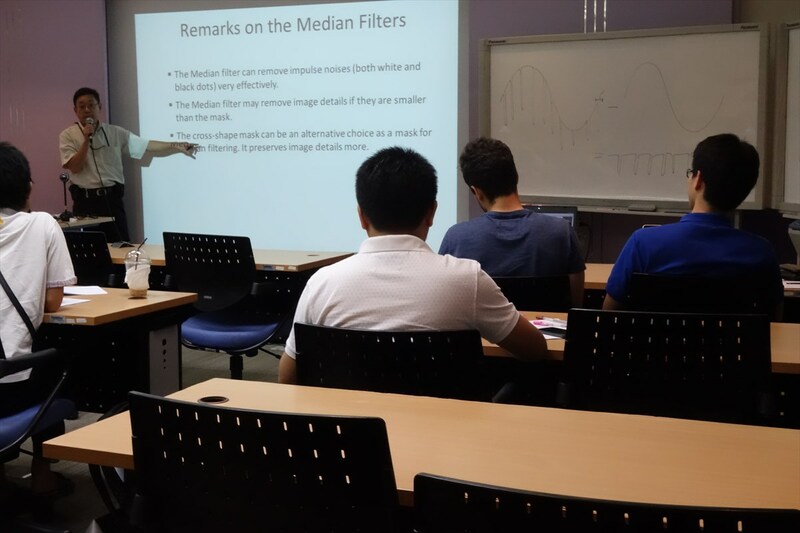 Some students studied in the program proceed to doctoral degree in Japanese universities. 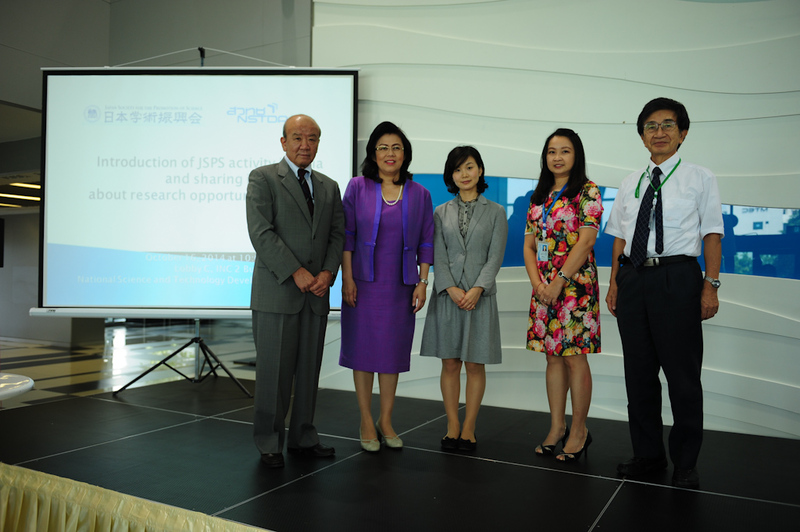 SATREPS is an international collaborative research program jointly supported by JST and JICA. 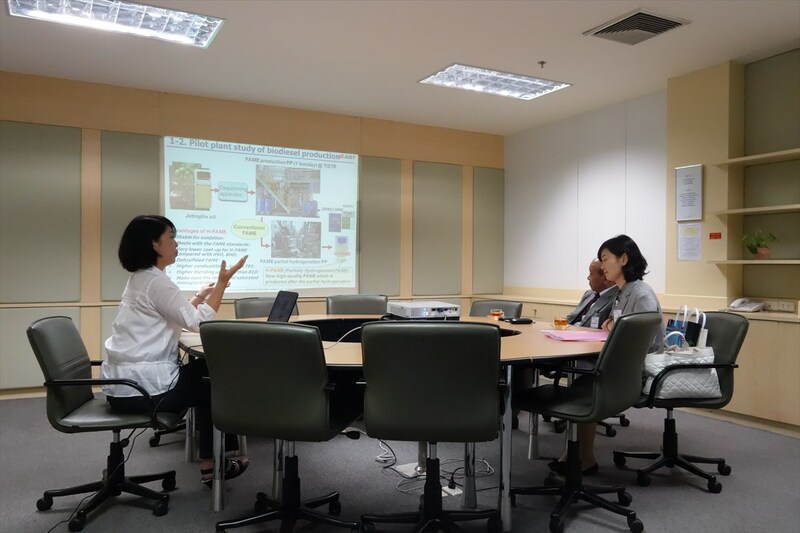 One of the SATREPS projects, “Innovation on Production and Automotive Utilization of Biofuels from Non-Food Biomass” has been implemented in Thailand since 2009. 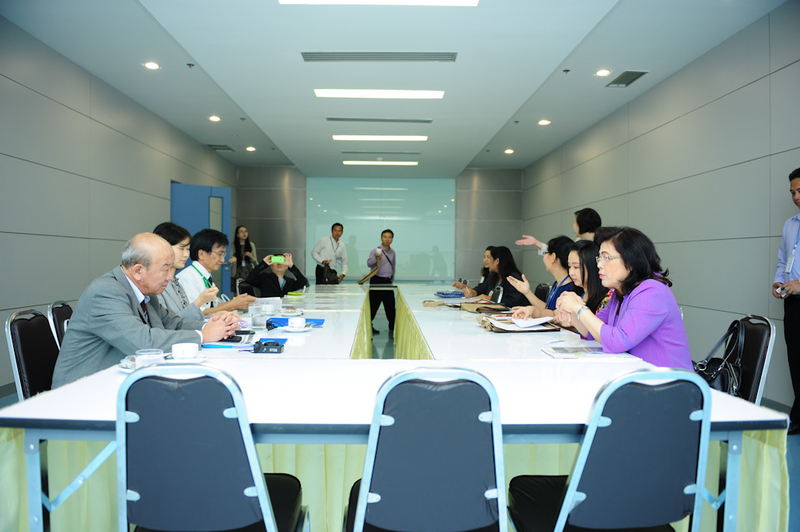 One Japanese and five Thai research institutions jointly carry out the project. JSPS Bangkok Office visited their director’s office and project coordinator Dr. Kae Russell explained the overview of the project. 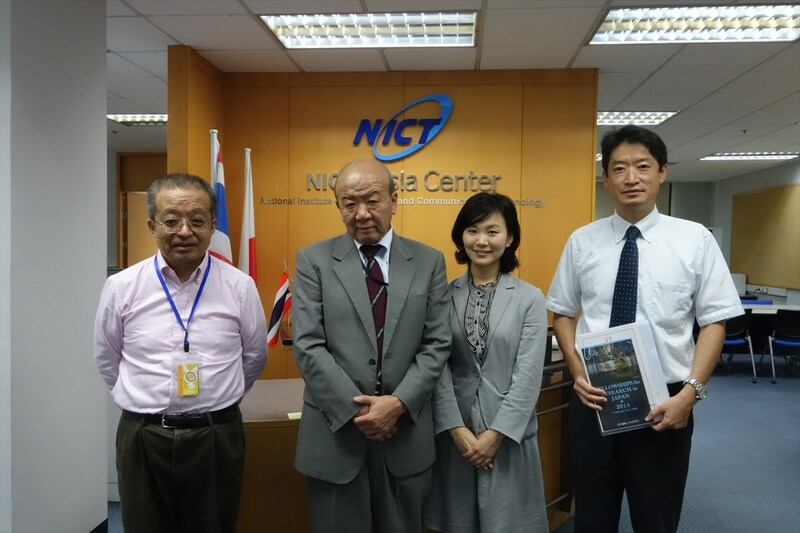 NICT is a Japanese national research institution that focus on the development of information and communication technology. ICT Asia center promotes collaborative activities in ICT research and development field with Southeast Asian countries. Director Mr. Yoshihiro Onishi and deputy director Mr.Nariaki Ikematsu explained their cutting-edge technology that are applied in Asian countries. They emphasized the necessity of strong collaboration with Asian countries in order to seize the initiative of information technology in the world. e-ASIA JRP supports international joint research projects in the East Asian Region on the multilateral basis. Public funding institutions of ten ASEAN Member countries and eight Asia pacific countries join the program and support research groups in respective countries, including NSTDA from Thailand and Japan Science and Technology Agency (JST) from Japan. 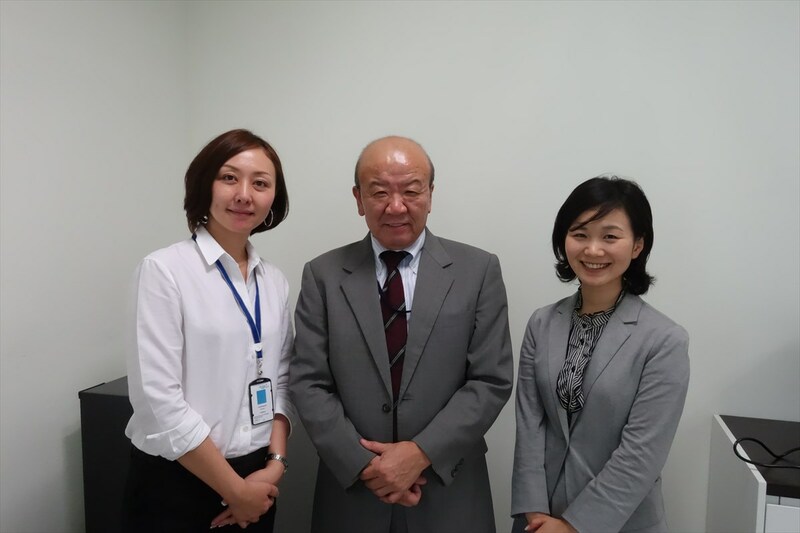 e-ASIA Special Program Coordinator, Ms. Eriko Kishida, dispatched from JST, explained the overview and prospects of the program. In order to understand science and research trend in ASEAN countries, JSPS Bangkok Office will intend to share more information with e-ASIA JRP office.